The British Vickers .303 Medium Machine Gun had earn’t a fearsome and valuable reputation during the First World War, but due to its weight and size required a 6 to 8 man team to carry and manoeuvre it across the battlefield. So the British Army needed a vehicle capable of carrying the gun and with which it could be fired from. 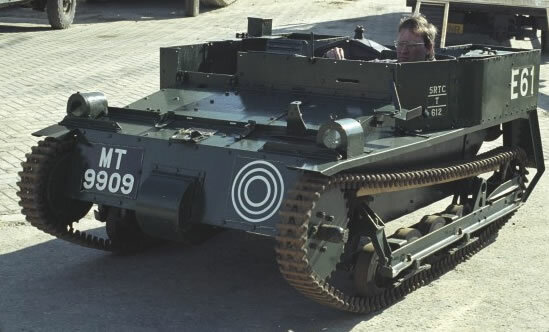 The Tankette Mark VI was developed in the 1920’s by British Firm Carden-Loyd to meet this need. The Army placed an order in 1927 and by 1930, some 270 odd were in service. It was later exported to 11 countries and licence built in 5. It would later be used for mounting the Stokes mortar, as well as doubling up as a tractor for towing anti-tank guns.